Do you ever find yourself in a chicken rut? Who doesn’t. 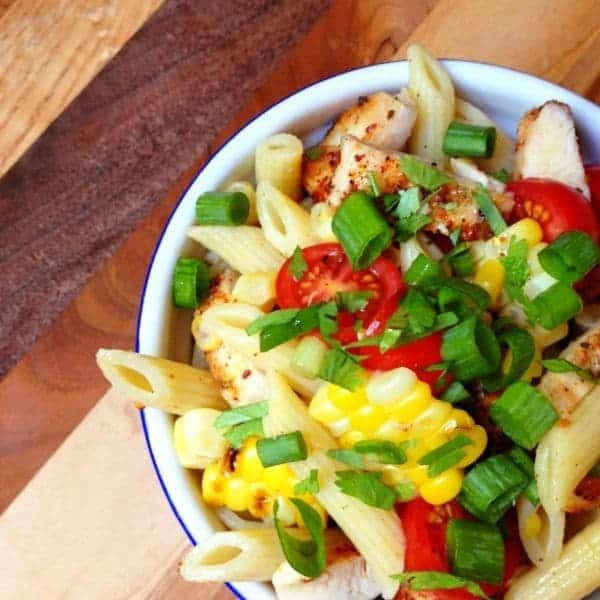 Greek Chicken Pasta Salad with Feta and Herbs promises to pull you and your family right out of that chicken rut, pronto. Thou shalt not overcook thy chicken breasts. I will remove said chicken breasts from the pan the minute they turn golden brown. Salt is not the enemy. Too much salt is the enemy. I promise to properly season my chicken breasts. Fresh garlic makes food taste good. Bottled garlic tastes bitter. Herbs are my friend. I vow to keep fresh parsley on hand at all times and a well stocked pantry with dried herbs. Lemon juice comes from a lemon, not a plastic bottle. LOL – I love that you noticed the comment. ;-) My husband always teases me at the grocery store when we pass the bottled juice asking if I want some because he knows I hate it. :) Happy lemon squeezing! I’m actually in a chicken rut right now. . .that will change with this dish! This will definitely break you free of that rut!!! Enjoy Jessica! I vow!!! 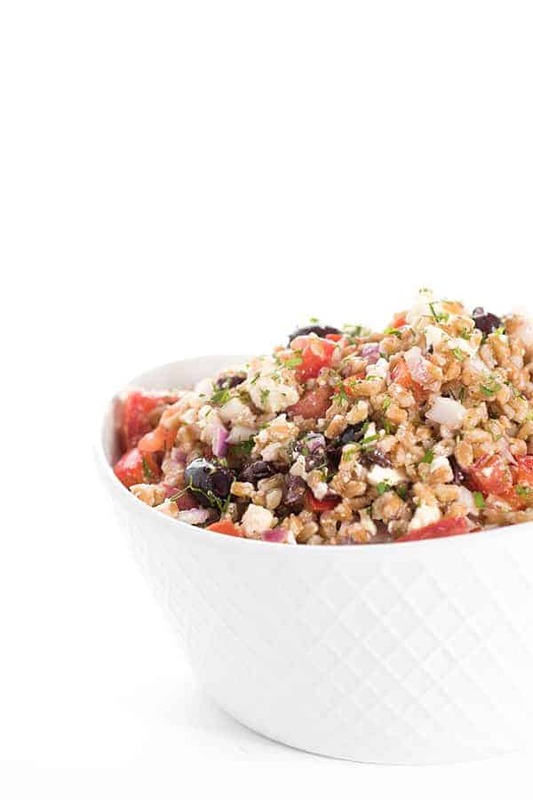 Also call anything Greek and throw in feta and I am sold! Guarenteed love every single time! Same here.. :-) Love at first bite. Yum! And I love your chicken cooking oath. Rules to live by! 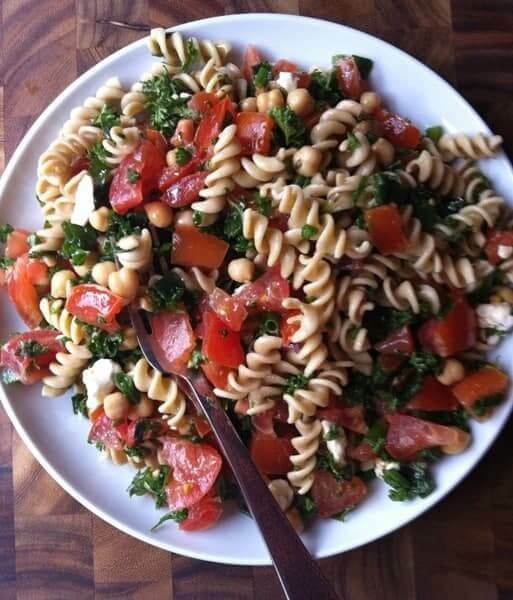 This looks so yums and healthy! I think these flavors would work amazing on a pizza, and have bookmarked the recipe over on Doughmesstic to try when tomatoes are in season for me (and my CSA farm share!). Great idea!! Sundried tomatoes or roasted roma tomatoes are another great idea for non tomato season! YES! I am seriously in a chicken rut. I love your recipes, Liz! Can’t wait to try! You are so sweet – thank you so much Lauren!! I hope you like this! This looks amazing. Right up our alley for sure! You would love this – and add kalamatas! I didn’t have them! Yum, looks great Liz! I love anything with feta! I’m so glad – let me know what you think, Sally! 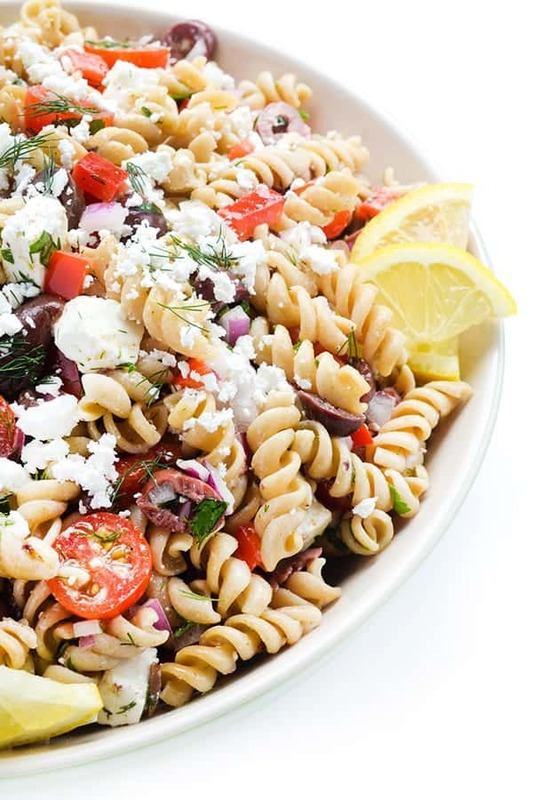 I love Greek salads and this pasta version sounds fantastic. Love the five rules too! Thanks Bianca!! I’m the same way and this was my first time making it into a pasta – so good though. So true, right? Come on over sista!! Let’s eat! I just found your blog through your Pure Charity profile, and I’m so glad I did! Can’t wait to try some of your recipes! So glad you found me!!! Thanks for stopping by – let me know what you end up trying! 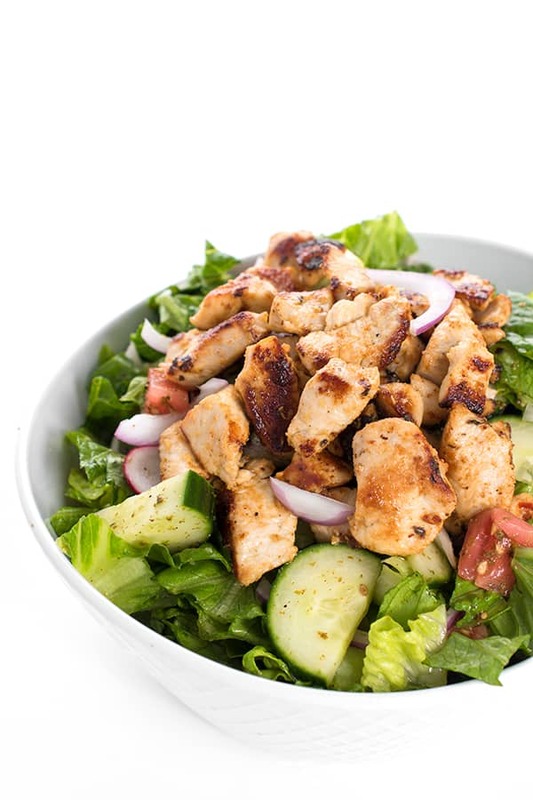 This looks like the perfect lunch. YUM!! This looks fab! I haven an excess of feta right now and need to use it up. I think I’ll be giving this a try… heading over to Susan’s now! It’s perfect for leftover feta and in fact, that’s why I created it!! :-) Enjoy Katie! I checked out your recipe and it looks delish (about to Pin it now)…. Thinking it’ll make a great lunch to have friends over. Have a great start to your week! Thanks for pinning, Kim! Great lunch for friends. I made it for my babysitter and she devoured it. So tasty! Happy Monday! haha I like your Chicken Commandments! I agree with all of them! P.S. 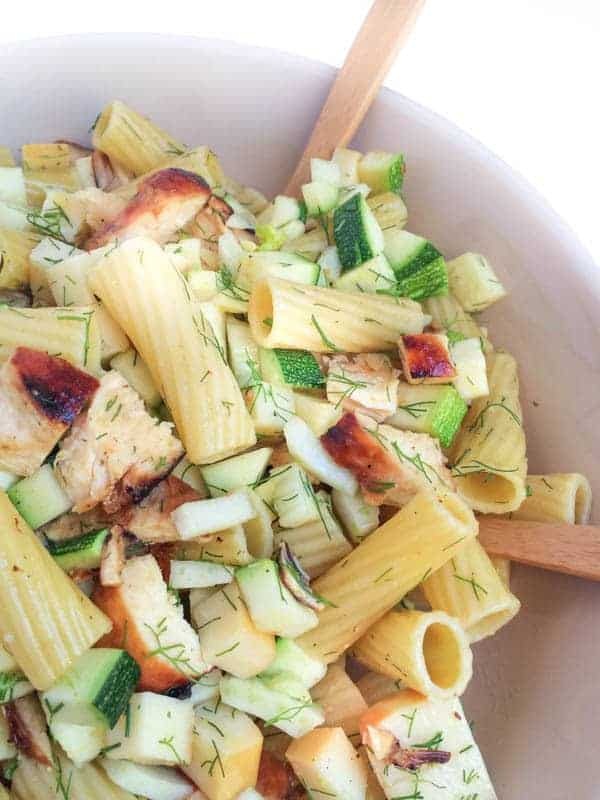 This pasta has my name all over it..Im so in love with Feta and greek flavors! Oh this looks glorious, Liz! Such a great pasta recipe!